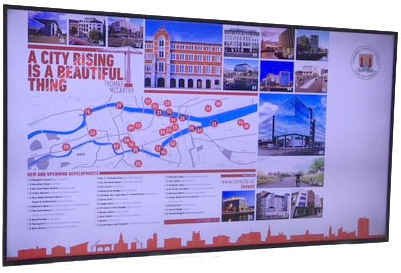 The effectiveness of the latest Digital Signage Screens in communicating key messages cannot be underestimated. Whether you choose to use still images, video (with sound), social streams; news streams, or a mixture of all of the above, Admirror Ireland can work with you to ensure your business gets maximum impact from your communications efforts. We can facilitate a wireless network around your organisation that can effectively be used to inform, motivate and inspire your staff and others. The fact that the messages can be updated remotely virtually in real-time sets Admirror Narrowcasting apart from other communications platforms in the marketplace today. 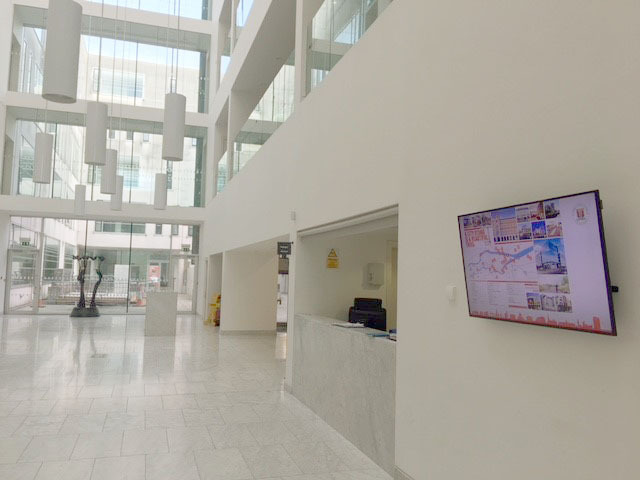 And of course, when you use a number of screens you can vary the messages that are displayed on each screen depending only on your business communications requirements. Call us today if you would like to receive a quotation or if you would like more information on how our Narrowcasting option can take your business communications to the next level.